Laurie Strickland is a creative professional working in television, film, theater, photography, and voice-overs writing. Her most recent projects were inspired by past visits to the Morgan's galleries to see Charles Dickens's writing on display. 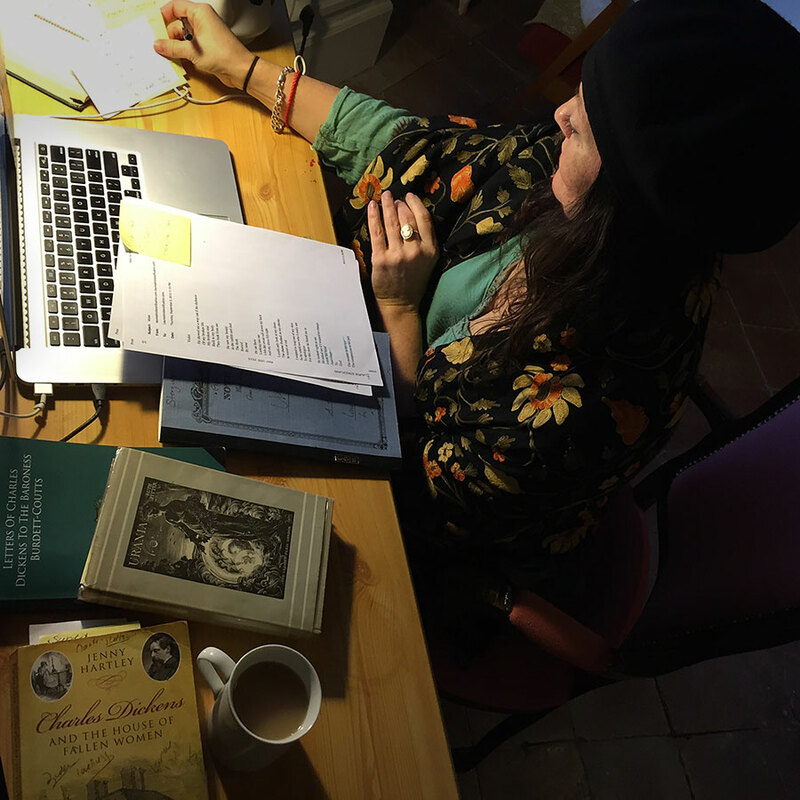 Thanks to the team in the Sherman Fairchild Reading Room, Laurie gained access to hundreds of Dickens's letters, which formed the foundation for her screenplay-in-progress, Urania. The Reading Room staff is grateful for the scholarship and enthusiasm of visiting researchers who help to illuminate the collection items in the Morgan's care. When I think of how the Morgan Library and Museum has impacted my work, the many ways it has inspired me, I am struck by how many lives it in turn touched in a ripple effect over the years. I am a storyteller. I create films, TV, and theatre. At the moment, I have two main projects that were born and nurtured at the Morgan. In 2012, I came to the Morgan to see Declan Kiely’s Dickens exhibition for the Dickens bicentenary. At that point, I had already created a production of A Christmas Carol, called Everyone’s Carol, in my living room in Harlem. I had also created a Dickens education unit for children in shelters without arts programming, believing with all my heart that the works of Dickens, his deep well of humanity, could speak to them. 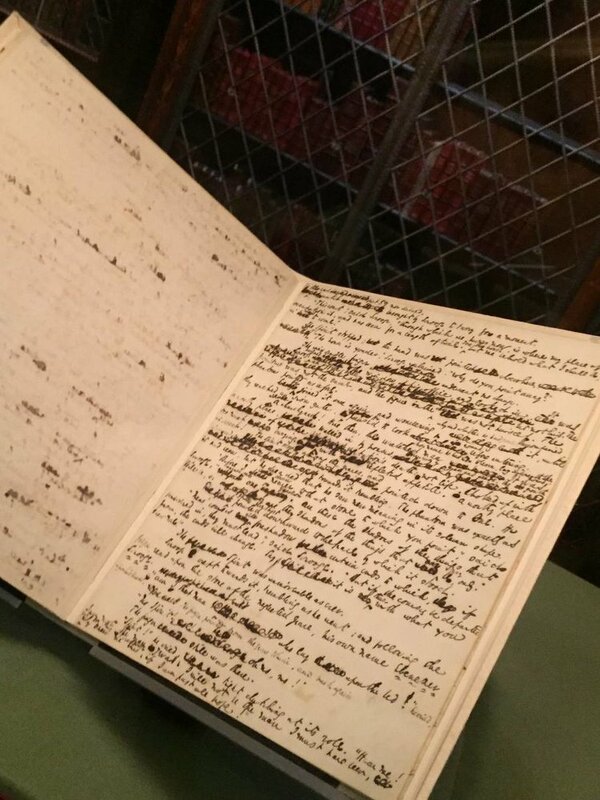 Often, for inspiration, I would trek from Harlem to Madison Avenue to look at the Carol on the public nights, to see what notes Dickens had made on the page, or to simply be near it, to come to pay my respects, to be inspired by it. I could not believe that in New York we had such a precious treasure in such a beautiful, inspiring place. I dreamed that we could create a production of the Carol in and for New York, one with actors as diverse as the passengers of the subways I rode on my way to the Morgan. It would be a Carol for ‘Everyone’. And sometimes I would daydream of one day collaborating with the Morgan directly. Our then little seedling of a show with a big heart was selling out, and suddenly we were writing grants and fundraising for our education unit. I was doing new things that required courage and faith, so coming to the Morgan became a respite, a comfort in those challenging times. I would stare at the book in the case for inspiration and to remember why I started the project. I would watch patrons from all over the world come to do what I was doing, peek through the glass at a little book written over 174 years ago. I took the photo on the right of the Carol through the glass and kept it with me. In a corner of the exhibit, framed on the wall, was a letter Dickens wrote to the homeless women of London—many of them prostitutes, all impoverished―offering them a “chance and a hope” of a new life, an education and a new home in a new country, in a refuge he was creating, with Baroness Angela Burdett Coutts, called Urania Cottage. I read this letter and wept. I knew that I had to tell this story as well. The Morgan has the original letter in the Dickens collection along with hundreds of others about the home that have proven to be the very anchor of the new film I am now writing about Urania Cottage. Here we are in 2017, and in five short years since my coming to the Morgan to be inspired, our production of Everyone’s Carol has played to sold out audiences all over the globe, and our education unit has served and inspired hundreds of children in shelters all over the world. Children much like Dickens himself was as a child. My film about Urania Cottage is in development with a wonderful production company, and I have received a Stockham memorial grant from the Jean-Louis Bourgeois Foundation to read, photograph, and be inspired by the over 700 letters Dickens wrote to Ms. Coutts about the home and the women who went there. These amazing letters live in the Morgan Dickens collection, and I am so honored to work with them directly. 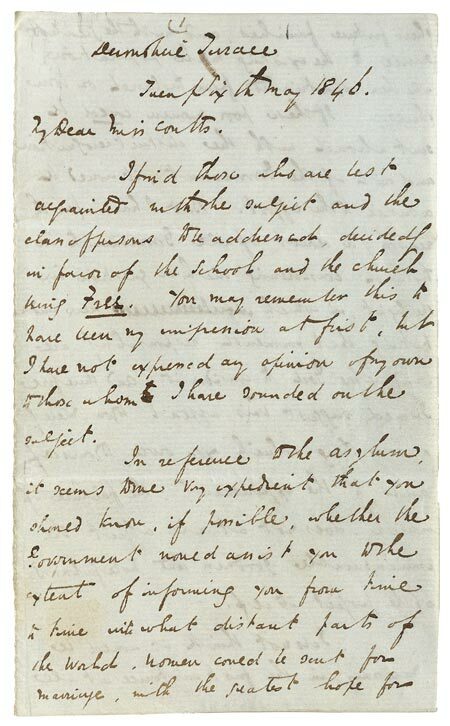 It is an invaluable resource for the film and amazing to see the women, whose names I had in some dry research, come alive as their stories emerge in Dickens’s many letters about them. I share all of this to give a window into just how far inspiration can take you, how it can open doors and opportunities that did not exist before, and how that in turn can be inspiring to so many others and can make a change and a difference. 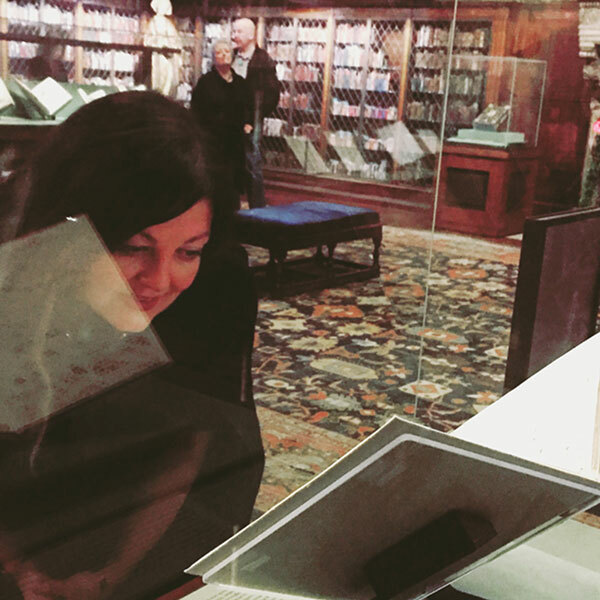 Of course, the Morgan is full of historic gems of the artistic, historical, and literary worlds―priceless manuscripts and artifacts that are breathtaking to view. I know well, from holding in my hands hundreds of Dickens’ personal letters about Urania Cottage these past months, what a miracle the reading room is. 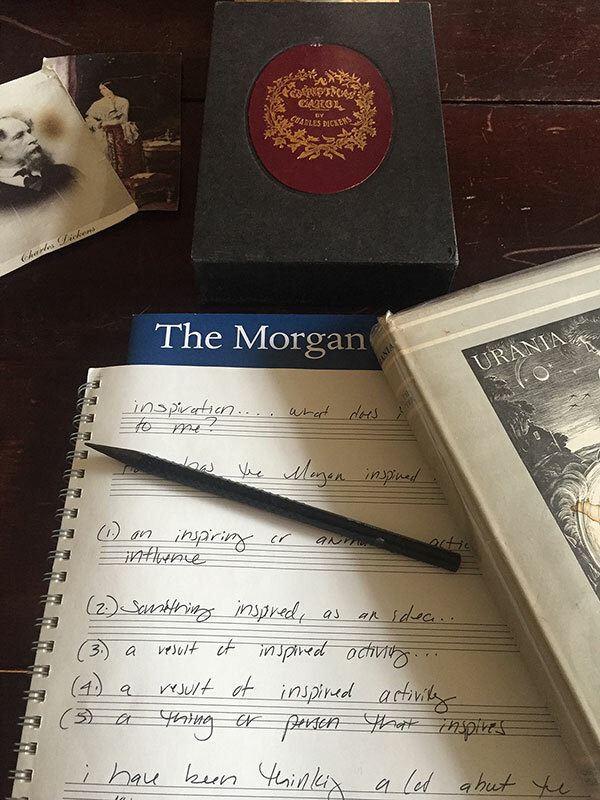 The Morgan’s commitment “to preserve, build, study, present, and interpret a collection of extraordinary quality, in order to stimulate enjoyment, excite the imagination, advance learning, and nurture creativity” has certainly been fulfilled in my case. Inspiration is not only in the priceless artifacts. It is in the people at the Morgan. Every day that I pick up my reader’s badge at security, I am greeted with a broad smile and an announcement “we have a reader here” and escorted to the reading room. The dedicated security staff led by Maria Isabel Molestina-Kurlat (Sylvie Merian, Emma Davidson, Sandy Kopperman, Polly Cancro, Allison Ransom) care about my projects and give tireless service to me and countless others. Everyone is treated like an honored guest. In fact, graciousness pervades the building. Many at the Morgan have cheered me on over the years, meeting with me about my script, coming to shows and talkbacks in the wilds of Brooklyn, and now, because we are performing Everyone’s Carol as a part of this year’s exhibit, I have had the honor and privilege to get to know many departments at the Morgan―events, education, conservation, and more. I used to daydream about doing our show at the Morgan Library and Museum, and here we are. I am so deeply grateful for Mr. Morgan’s legacy and all the patrons, donors, and staff of the Morgan. And I can only hope my words here are a peek into what a service the Morgan provides for the community and to the world and how many lives it touches and changes.